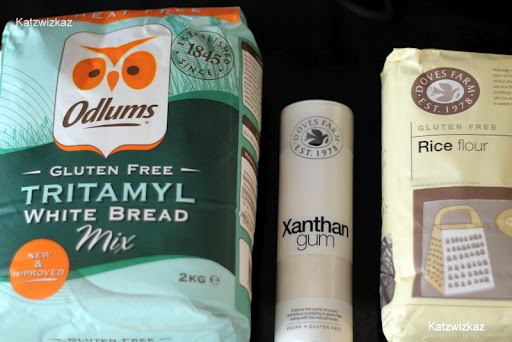 Some new ingredients found their way into my latest (and seperate) baking box this week. 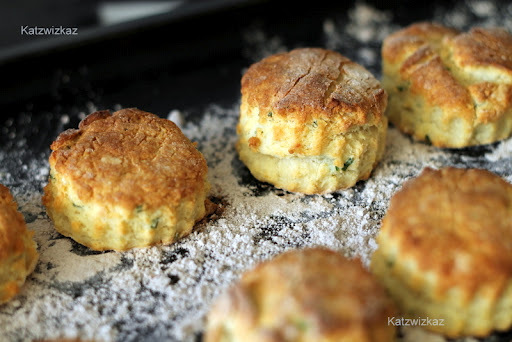 I have been chatting to a Twitter pal, who very kindly complimented me on the Pecorino, Chive and Walnut Scones I made for my previous post. She also commented that she was following a Gluten-Free Diet, so ordinary baked items were not for her. Having promised to look for something which she could make, I found a Gluten-free scone recipe on the Odlums Website, which is by Catherine Leyden. I added the Pecorino and chive combination, but you can use any cheese which suits you. 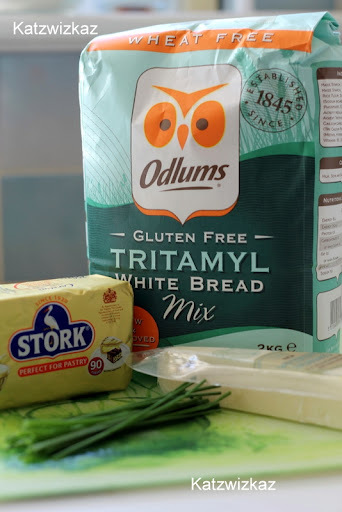 The use of the White Bread Mix cuts out the need to find gluten free baking powder, etc. Place the Bread Mix, margarine, and cheese into your mixing bowl, and rub through until it resembles bread crumbs. Next, add the chives, and mix in. Pour in the milk, and bring together to form a dough. Roll out gently to approximately half an inch thickness. 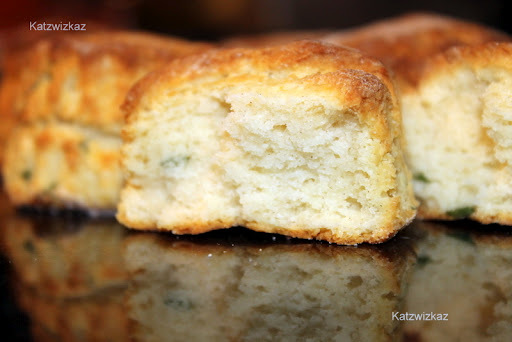 Using a 2″ (5cm) cutter, press out your scones. I managed to get 10 scones here. Place the scones on a baking tray which has been scattered with some of the Tritamyl Gluten Free Bread Mix. Bake at 200C/400F/Gas Mark 6 for 25 – 30 minutes, until golden brown and cooked through. My first attempt at gluten-free baking was interesting, insofar as, I had no idea how the scones would turn out and how they would taste. They looked fine, and tasted great! Thanks a million Colette, these look great. I never thought of using the white bread mix to cut out the need for adding gluten free baking powder and the like but I'll remember that tip.It'll be the weekend before I get a chance to bake them for myself but I'll definitely let you know how they turn out.Thanks again, you're a star for doing this. Thank you for saying that, it was no problem, at all. I learned a little bit from trying a GF recipe too. I will be on the look-out for more to try out and post from now on. Please do let me know how they work out for you.